The series will feature an array of tournaments with buy-ins starting at just $85. Action kicks off with a multi-day $350 tournament tagged with a $100,000 guarantee. The highlight of the series will be the nationally-televised $1,650 Main Event, taking place March 15-18. That tournament features a $300,000 guarantee and an anticipated six-figure first place prize. Click HERE for the full schedule. "St. Louis is an excellent poker market. We always see great turnouts here," says HPT tournament director Jeremy Smith. "This series has over $450,000 in guarantees and players love that. We're looking forward to seeing some familiar faces and a lot of new ones too." Hollywood Casino St. Louis offers star-studded fun everywhere you look. The spacious facility has over 120,000 square feet of gaming space. Guests will enjoy the exceptional experience with over 2,000 of the hottest slots and video poker machines and over 60 table games, as well as the outdoor Hollywood Casino Amphitheater, featuring legendary acts this summer like The Who and Kiss. Opening in Fall 2019 on the Hollywood Casino grounds, the new St. Louis Community Ice Center will feature four sheets of ice and act as the official practice facility of the St. Louis Blues. WIth seven first-class dining options on property, no one will go hungry at Hollywood Casino St. Louis From the 16oz King Cut prime rib at Final Cut Steakhouse to the classic bar food and beer options at 99 Hops House, visitors are sure to find something to satisfy their appetite. When it's time to relax, Hollywood Casino's luxurious hotel is just a short walk away from the casino floor. Each of the recently renovated 455 deluxe rooms and 47 spacious suites comes equipped with new furniture, complimentary Wi-Fi and flat-screen TVs. The hotel is offering exclusive rates to those traveling in for the HPT event. Reservations can be made for as low as $89 per night by calling 855.785.4263 and mentioning code HPT0319. "Hollywood Casino Hotel St. Louis is extremely excited to be hosting this world class poker event. Entrants and their guests will surely find our property to be the premier gaming destination in the market, with the best and most friendly team members around," says Hollywood Casino Hotel Vice President and General Manager Michael Jerlecki. "Having the most comfortable and best action, 20 table year-round live poker room in St. Louis aligns us perfectly with HPT for this and more tournaments to come." 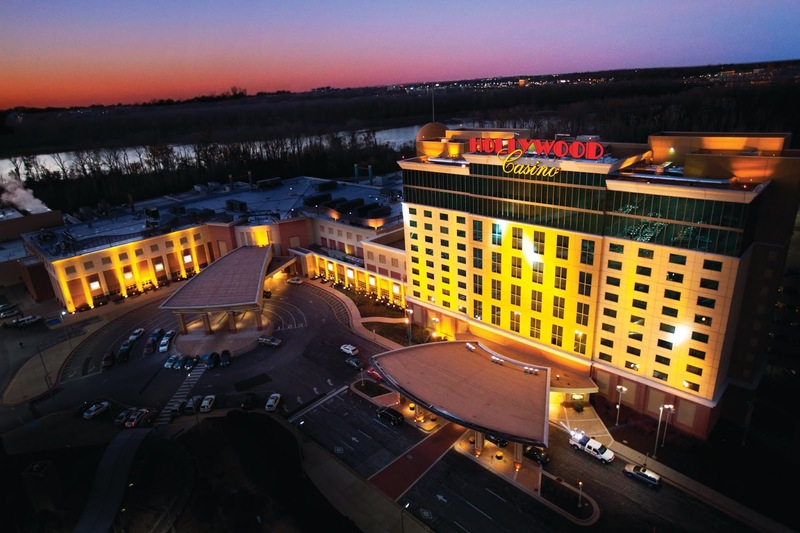 Poker enthusiasts far and wide will make their way to Hollywood St. Louis for the March 7-18 HPT series, all in hopes of checking, betting and raising their way to poker glory. Find all of the details at HPTpoker.com. Chipleader to begin the final table, saved by a river King, back up to the lead and eventually to the title. 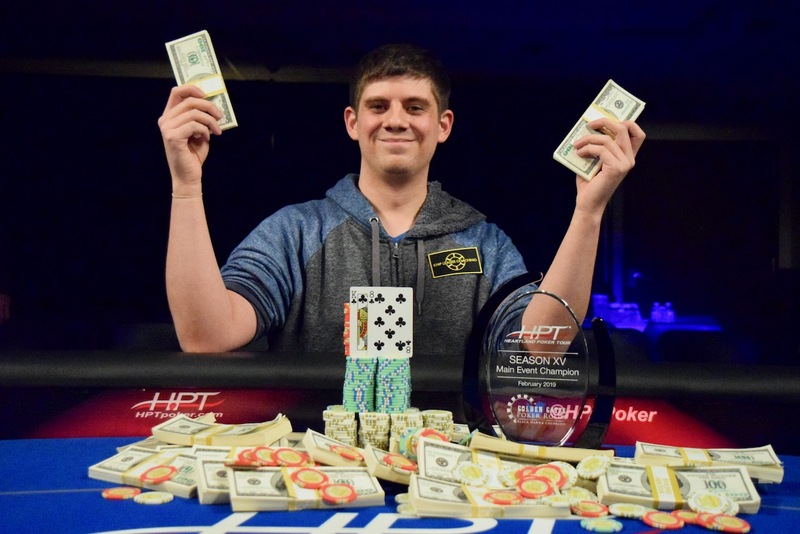 Nick Pupillo is the HPT Black Hawk Champion, earning $194,487 for his second-largest career cash and his second HPT Main Event crown. Pupillo defeated 3-time HPT Main Event champ Reginald 'Shawn' Roberts heads-up to claim the win. Roberts collected $120,146 as runner-up. The three starting flights in Black Hawk, CO., combined to draw a 588-entry field, the players creating a prize pool of $864,360. 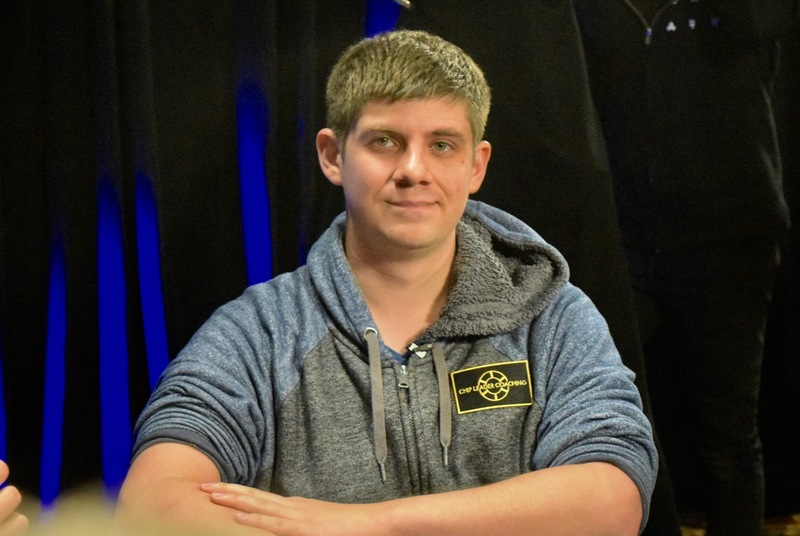 Although Pupillo began the nine-handed final table as chipleader, Roberts began shifting chips his way early on and Pupillo soon found himself facing an all-in for his tournament life when Roberts moved in on him. Pupillo called with top pair, King kicker, on a Jack-high board, only to see Roberts holding Queens. Pupillo spiked a river King to remain in the tournament and Roberts came back to the back with that double to Pupillo. Roberts and Pupillo kept each other in check as final table play began, but it was another player who soon emerged as a force. John Sacha began final table play as the short-stack and made a serious run at earning his second career HPT Black Hawk Main Event title. Sacha said he would win if he could climb to 3 million chips. He made it all the way to 10 million, then pretty much ran second-best to Pupillo for an entire hour before being eliminated by Pupillo in 3rd place, cashing for $78,743. Pupillo began heads up play with nearly a 3-1 chiplead on Roberts, quickly extended that to a 6-1 chiplead, then calling to put Roberts at risk the first time Roberts moved his chips in. Roberts and Pupillo were racing, A-9 for Roberts, K-8 for Pupillo. An 8 on the flop put Pupillo ahead, and he dodged Aces and nines on the turn and river for the win. Daniel Wojcik (4th, $54,714), Karim Abuzar (5th, $39,761), Jack Peterson (6th, $30,858) Ryan Dodson (7th, $25,931), Mike Itoafa (8th, $21,609) and Dopa Ajayi (9th, $17,287) rounded out the final table cashes. 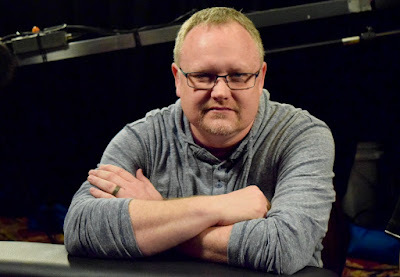 Others who cashes in the main event included Adrian Buckley (11th, $13,311), Shawn McCracken (12th, $13,311), Will Berry (13th, $9,940), Craig Casino (18th, $7,606), Alex Greenblatt (22nd, $5,705), Matt Livingston, (28th, $4,754), Aaron Frei (31st, $4,754), Teresa Hemingway (41st, $3,976), Ben Keeline (42nd, $3,976), James Carroll (48th, $3,371), Ed Sebesta (50th, $3,371) and defending champion Mike Englert (60th, $3,112). 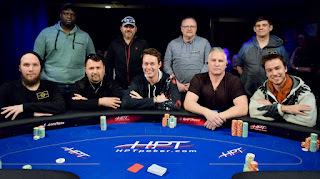 Among those who came out for the main event but did not find a cash was Faraz Jaka, Allen Kessler, Ralph Massey, Aaron Massey, Josh Turner, Vince Moscati, Kevin Eyster, Nick Davidson, David Gutfreund, Danny Gonzales, Rich Dixon, Corey Zedo, Cary Marshall, Greg Geller, Nils Bardsely, Nader Wahdan, Svetlana Martie, Jay McVeigh, Bryan Johnson, Marty Gorenc, Shane Faulk and Fernando Galvan. Shawn Roberts moves all in for his last 2,120,000 and Nick Pupillo makes the call, the first all-in heads-up to decide the February 2019 @HPTpoker @Gates_poker main event title. goes the flop, giving Pupillo the lead. The board runs out and Roberts is the HPT Black Hawk runner-up, earning $120,146, with Pupillo capturing the title and a first-place prize of $194,478. A complete main event wrap-up posts shortly. John Sacha moves all in preflop for 2,880,000 and overwhelming chipleader Nick Pupillo makes the call to put Sacha at risk at the @HPTPoker Main Event final table @Gates_poker. Shawn Roberts steps aside and off the the flop they go. The heads-up match between Pupillo and Shawn Roberts begins shortly. John Sacha moves all in preflop and Nick Pupillo asks for a count. The dealers says he's at 1,390,000 and Pupillo places out a calling stack. Sacha was on a bluff and is slightly ahead with his to the of Pupillo. goes the flop Sacha flopping a Ten and Pupillo is open-ended. goes the runout and Sacha doubles back to 2.8 million. 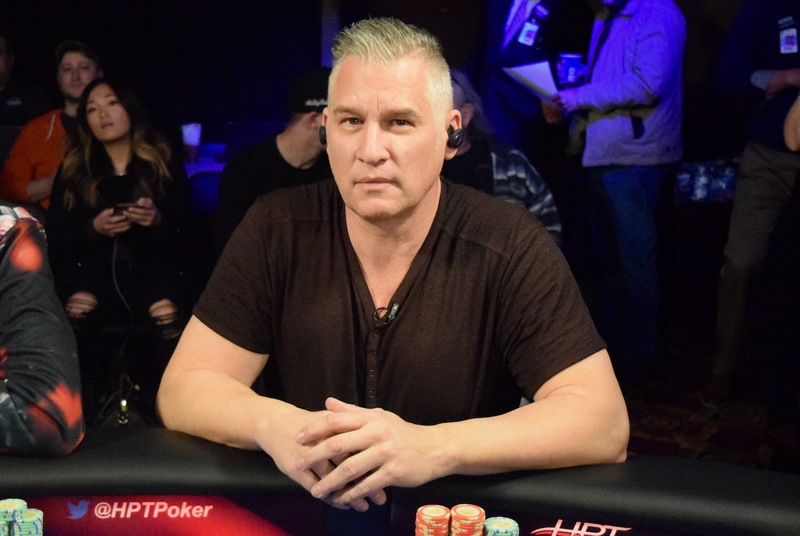 Shawn Roberts moves all in preflop for 2,590,000 and John Sacha snap-calls to put Roberts at risk 3-handed in the @HPTPoker Main Event @Gates_poker. These chips were going in the middle no matter what, as both players flop a set on the board. The runout gives Roberts the double and leaves Sacha with fewer than 10BB. John Sacha reached 10 million of the 17.4 million in play, but his stacks started sliding to Nick Pupillo shortly thereafter. Pupillo 4-bets to 1.5 million, gets a call from Sacha, then makes it 950,000 more to go on the flop and Pupillo took the chips. There's an open from Pupillo, a few hands later, a 3-bet to 860,000 from Sacha and a call from Pupillo. Sacha makes it 700,000 to go on the K-9-6 flop and Pupillo comes along. The turn is , Pupillo bets 1,850,000 and Sacha lets go. That hand pushed Pupillo to the chiplead, and Pupillo wasn't done yet. A few hands after this, Sacha opens, Pupillo 3-bets preflop to 2,000,000 and gets Sacha to lay down again, causing Pupillo to extend the lead 3-handed. Two-thirds of Sacha's stack has gone to Pupillo without a showdown. Nick Pupillo moves all in from the SB to put pressure on the 10BB stack of Shawn Roberts. There's a short pause, and Roberts says he can't find a fold, so he calls off his stack. Both players hit two pair on the flop, and someone in the audience calls for a King on the turn for chop-outs, but the runout is and Roberts moves back up the chipcounts.